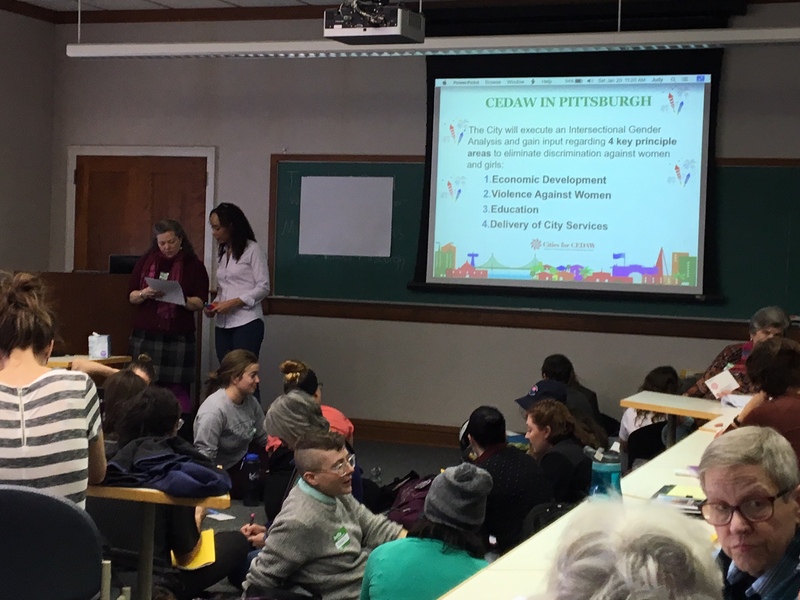 The Pittsburgh for CEDAW Coalition participated in a Racial Justice Housing Workshop. We spoke on how women are often hardest hit by a shortage of affordable housing and gentrification. 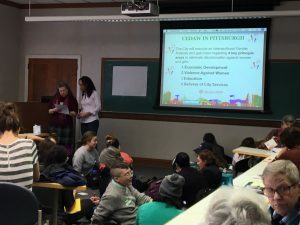 This panel aims to help residents unite around a shared demand for a city that reflects and prioritizes the human right to housing and that activates our collective energies to advance remedies for racial inequities and harms caused by long-term discrimination in housing policies and by market-oriented economic development. It features leaders from diverse struggles for justice working to shift debates from markets to human needs and to build broad alliances that build collective power for transformative change. Each speaker will address particular strategies that can help us build and strengthen our local movement for housing justice. What opportunities and resources are available for advancing our work for human rights and the right to have a safe and secure dwelling in our community? How can different sectors of social justice work come together in ways that reinforce an overall vision of a human rights city? How can all residents join in this effort to make our neighborhoods and our region a place of dignity and justice for everyone? This entry was posted in Uncategorized on March 12, 2019 by pgh4cedaw. 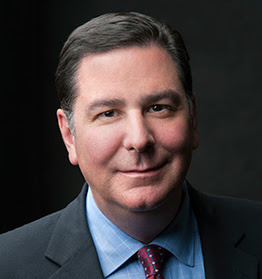 The NGO Committee on the Status of Women/New York is proud to announce Mayor William Peduto as 2019 Recipient Cities for CEDAW Global Leadership Award. The award will be given at NGO CSW63 Forum Consultation Day on Sunday, March 10th from 9AM to 3:30PM at the Tribeca Performing Arts Center (Borough of Manhattan Community College). The Convention on the Elimination of all Forms of Discrimination against Women (CEDAW) is an international treaty adopted in 1979 by the United Nations General Assembly and ratified by 189 countries. The United States is one of five countries which failed to ratify the treaty. In 2015, the NGO CSW/NY launched the Cities for CEDAW campaign with San Francisco as the peer leader for the US. This campaign has grown to include more than 50 US cities working to implement CEDAW policies and programs at the local level making it illegal to discriminate against women. It assures girls and women of all ages– in all their diversity–the rights to decent housing, employment, public safety and access to social services and resources. Mayor William Peduto was chosen for this award due to his work to implement sustaining policies which eliminate all forms of discrimination against women at the local level. Serving on the Pittsburgh City Council for twelve years, he was responsible for the most comprehensive package of government reform legislation in Pittsburgh’s history. Now in his second term as Mayor, Pittsburgh is a leading 21st Century city. Mayor Peduto is actively engaged with the National League of Cities, U.S. Conference of Mayors and the Pennsylvania Municipal League initiatives. This entry was posted in Uncategorized on March 4, 2019 by pgh4cedaw. 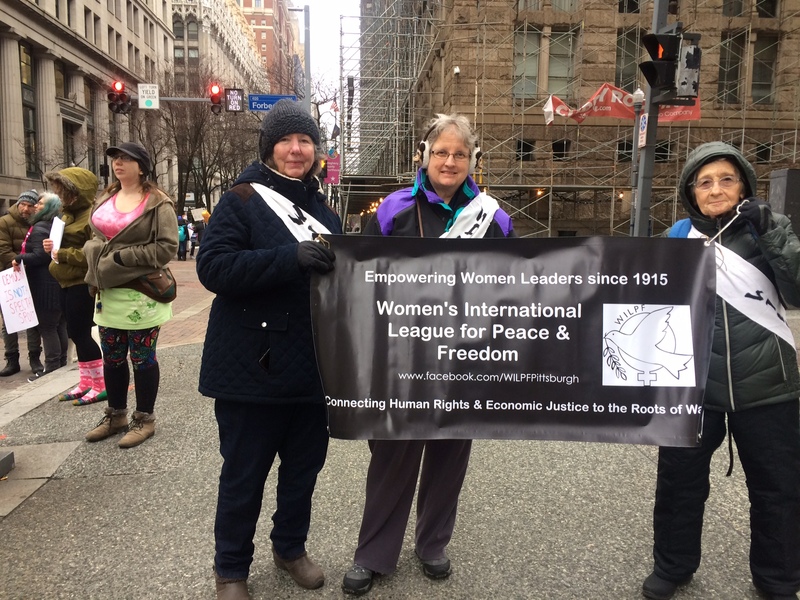 To see so many young women at the Pittsburgh Women’s March again this year was energizing! This administration has woken a sleeping giant. Young women across the nation recognize that their basic rights are threatened. With the results of recent elections and continued engagement our multi-generational fight is stronger than ever! This entry was posted in Uncategorized on February 21, 2019 by pgh4cedaw. This entry was posted in Uncategorized on May 30, 2018 by pgh4cedaw. 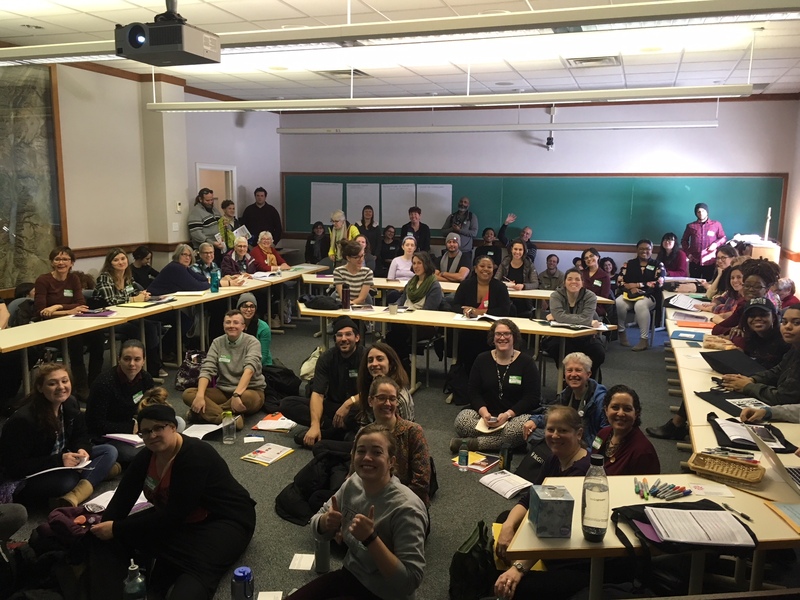 We invite the Pittsburgh Board of Public Education to collaborate with us to eradicate sexual and other forms of harassment within schools that impacts all students, regardless of gender identity. Include language within the Strategic Plan: Expect Great Things describing a commitment to effectively prevent and respond to sexual and other forms of harassment. Establish a full-time Title IX Coordinator for the district. Collaborate with the Black Girls Equity Alliance and other external experts. This entry was posted in Uncategorized on May 21, 2018 by pgh4cedaw. More than a year after former Pittsburgh City Councilwoman Natalia Rudiak helped usher anti-gender discrimination legislation through council, the city on Thursday introduced the members who will serve on its first-ever Gender Equity Commission.The group’s main charge is to “dismantle gender inequalities in our city,” executive director anupama jain, who doesn’t capitalize her name, said at Thursday’s launch event. She acknowledged the commission has its work cut out for it.“It’s not change that will happen tomorrow,” said jain, who is paid as a part-time employee of the Bureau of Neighborhood Empowerment to lead the commission.Among city employees, gender disparities are glaring. PublicSource reported last year that a pay gap between men and women, and between white people and people of color, exists in part because the city’s workers are overwhelmingly white and male. “When you have generations and centuries of gender inequality, which is the reality…we’ve got decades to go until, as a country, we actually have gender parity,” jain said. The commission has big goals. Megan Block, a civil rights attorney focused on unions and employment; Kelauni Cook, founder and CEO of Black Tech Nation and co-director of Beta Builders Coding Boot Camp Community; Kathi Elliott, executive director of Gwen’s Girls; Lee Fogarty, leader of Cities for CEDAW Pittsburgh; Councilwoman Deb Gross; Sarah Hansen, senior director of operations for Pennsylvania Women Work; Magdeline Jensen, CEO of the Greater Pittsburgh YWCA; Sabrina Korbel, an attorney with the Women’s Center and Shelter of Greater Pittsburgh; Janet Manuel, acting director of the city’s Department of Human Resources; Amanda Neatrour, manager of the Women’s Leadership and Mentorship Program at Robert Morris University; Chelsea Pallatino, a postdoctoral associate at Magee Women’s Research Institute; Jessie Ramey, director of the Women’s Institute at Chatham University; Sarah Schulz, assistant professor of psychology at Point Park University; Mike Strelic, senior budget analyst in the City Council Budget Office; and Ricardo Williams, manager of equity and inclusion in the city’s Bureau of Neighborhood Empowerment and administrator of the city’s Equal Opportunities Review Commission. 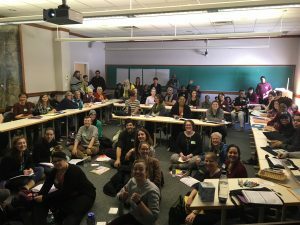 The commission, born out of Rudiak’s legislation and launched on the first day of Women’s History Month, is part of Pittsburgh’s answer to a charge the United Nations made nearly four decades ago when it ratified the treaty known as the Convention on the Elimination of all Forms of Discrimination Against Women (CEDAW). The CEDAW treaty, which acts as a bill of women’s rights, charges countries to pass laws and take other steps to ensure that men and women are equal in every way, including mandates that governments create laws and policies to end discrimination against women and take action so women are equally represented. So far, 189 countries worldwide have signed and ratified that treaty, though the United States has merely signed it. 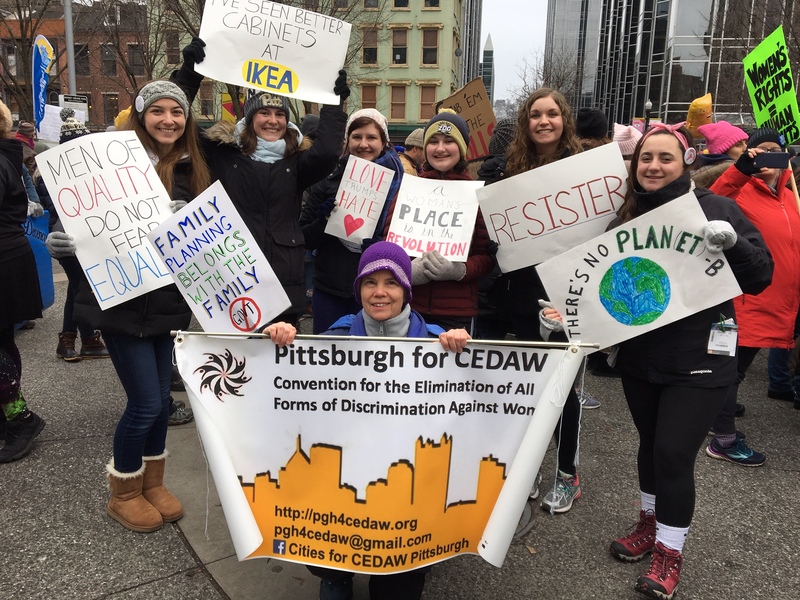 In 2016, Pittsburgh was the sixth city in the U.S. to adopt CEDAW legislation in lieu of a national effort. In fall 2016, Rudiak introduced legislation for the city to adopt CEDAW’s principles and Peduto signed that legislation into law by December of that year. jain was hired in September 2017 and began assembling the commissioners. The commission will use data to assess how the city can change policies for its workforce of nearly 3,500 full time employees as well as help shape city-wide policies in virtually every area. Councilwoman Deb Gross, who chairs council’s Committee on Land Use and Economic Development, wondered how the commission might change the city’s conversation about affordable housing and budgeting for other such equity-building programs. “Who are we investing in and who are we not investing in? This commission is our opportunity to both ask that question and get that answer,” she said. For his part, Peduto said he hopes the commission serves as a model for other cities. He said he is willing to make changes to the city’s workforce. The city can’t force any business or group to adopt the commission’s recommendations, he said, but it can serve as role model. When it comes to doing that work of getting companies in Pittsburgh to adopt policies to be more equitable, Cook, the Black Tech Nation CEO, has been there. In her role, she said, she’s met with executives at Google, Uber and other local heavyweights. Right now, she said, “everyone is receptive to hearing people out.” But whether that means making change? She laughed. No one will want to resign or fire employees to make room for more women or people of color, she said. Dale Shoemaker is PublicSource’s government and data reporter. He can be reached at 412-515-0069 or by email at dale@publicsource.org. You can follow him on Twitter at @JDale_Shoemaker. This entry was posted in Uncategorized on March 1, 2018 by pgh4cedaw. This entry was posted in Uncategorized on January 21, 2018 by pgh4cedaw. 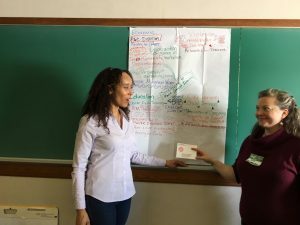 The Executive Director for the Pittsburgh Gender Equity Commission has been selected and the first commissioner is on board! This entry was posted in Uncategorized on September 9, 2017 by pgh4cedaw. This entry was posted in Uncategorized on January 11, 2017 by pgh4cedaw. The writer is a member of the Women’s International League for Peace and Freedom. This entry was posted in Uncategorized on December 13, 2016 by pgh4cedaw.